Opiates are highly addictive drugs, derived from the poppy plant, and often used to treat moderate to severe pain. Many are completely legal and available through a doctor, but the most well-known form of illegal opium is heroin. Opiates are generally used to relieve pain, and they create a sense of euphoria and wellbeing alongside this. In the case of prescribed opiates, most addicts begin their use of the drug by taking it safely and in line with their recommended dose, often after surgery or an injury. When they get used to the pleasurable feeling, however, they may decide to increase their dosage against medical advice – this is the beginning of addiction. Some opiates create a slow release of pain relief, which can last for up to 12 hours. For those who live with chronic pain conditions, this is a lifeline. For those who abuse opiate painkillers, however, it can encourage them to snort, smoke, or even inject the medication, bypassing the timed release and giving them the powerful effects all at once. Thinking about the drug a lot and looking forward to the next dose. “Doctor shopping” and getting different prescriptions from different doctors. Feeling irritable when medication is out of reach or inaccessible. Opiates are one of the most commonly abused drugs in the United States. Those who can’t get them prescribed, because they’ve taken as much as their doctor considers acceptable, can buy them on the street or online quite easily. Heroin in particular is often taken intravenously, which introduces the possibility of more health complications. Viral Hepatitis and HIV can both be contracted through the use of needles or syringes. If smoked, heroin can cause a whole host of respiratory diseases, including lung cancer and pneumonia. It can also damage blood vessels and impact the heart, liver and kidneys. Ultimately, legal and illegal forms of opium are no different if abused – there are no ‘safe options’. Legal opiates can be injected as well, so carry exactly the same risks as heroin when taken intravenously. Not only does injecting opiate painkillers increase the potency of its side effects, powder in the blood stream causes many problems because it is simply not meant to be there, such as heart infections and pulmonary embolisms. The site of the injection can get infected too, and even lead to gangrene and amputation. Getting clean from opiates is a particularly difficult process because the withdrawal symptoms are very unpleasant and uncomfortable. It’s advisable for the individual who wishes to get clean to have their detox supervised to minimize the possibility of relapse. Peer support and group therapy in an inpatient treatment center make the chances of recovery after detox much higher for former opium addicts. Support from people in the same position, as well as health professionals who understand the substance and the addiction, can reduce feelings of isolation and depression, as well as motivate the individual to put their energy into healthier activities and enjoy their life now that they’re clean. After recovery, many addicts struggle to forget the euphoria they know would await them if they were to return to taking their opiate of choice. Methadone or buprenorphine can ease the cravings during this time and make relapse much less likely. 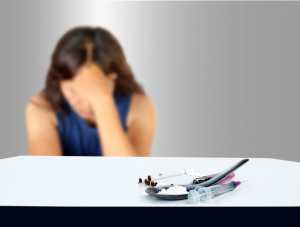 Further counseling and therapy is also recommended for at least several months after opiate treatment.